Once you decided to venture out, how was the journey? What did you aim to achieve? The journey was full of challenges – the field of the chosen programme was undefined in the minds of the target audience. Hence creating a basic understanding of the band-width of IMC (Integrated Marketing Communications) was itself a challenge. Being a boutique, competition from larger institutes was also a challenge. But, building and instilling quality content value and valuable professional attitude was our unique selling proposition. Where did the inspiration emerge from? Inspiration came from the confines of a daily routine to one where the mind could envision each child’s future, on his/her life’s canvas. The joy of guiding, mentoring keeping in mind each student’s unique abilities and allowing thought processes to evolve individually and collectively. Another significant factor was – igniting creative energy to guide the spirit through the unknown. Could you tell us about the challenges that created any blockages along the way? Do you think the current business scenario encourages women entrepreneurs? Definitely. I feel women can be wonderful entrepreneurs. Even if it be a small body-shop salon, the challenge is to work and fulfill your ‘karma’. 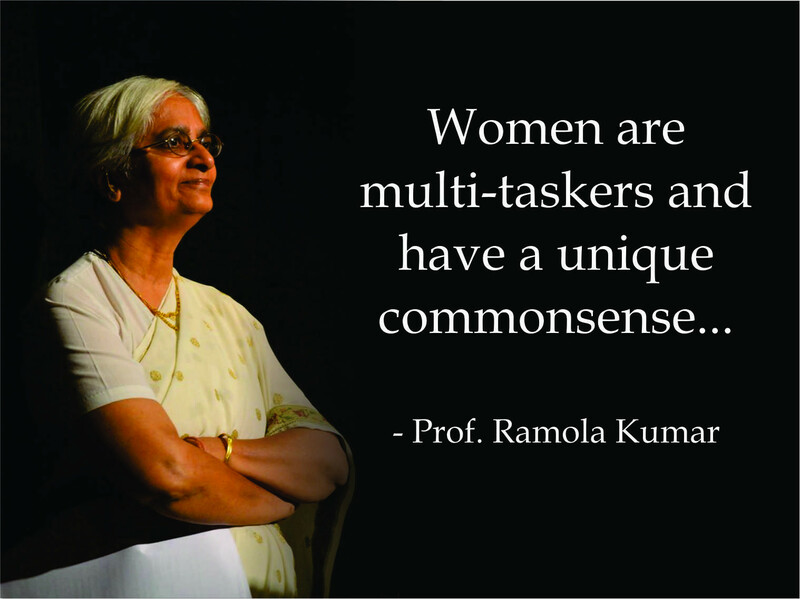 Women are multi-taskers and have a unique commonsense, should they wish to engage themselves. They should be the change agents of tomorrow. The future can be as bright as you wish it to be. There are multiple options, different and new ways to work-from-home and be independent from the boundaries of systems. If one can earn one’s livelihood and eventually also help others build a better future – one’s life would have been lived well. Would you have any tips for someone starting out today?